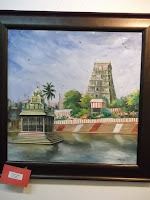 Probably the youngest hero of Madras Week was A. Ananda Kumar who exhibited his paintings at the C.P. Ramaswami Aiyar Foundation. 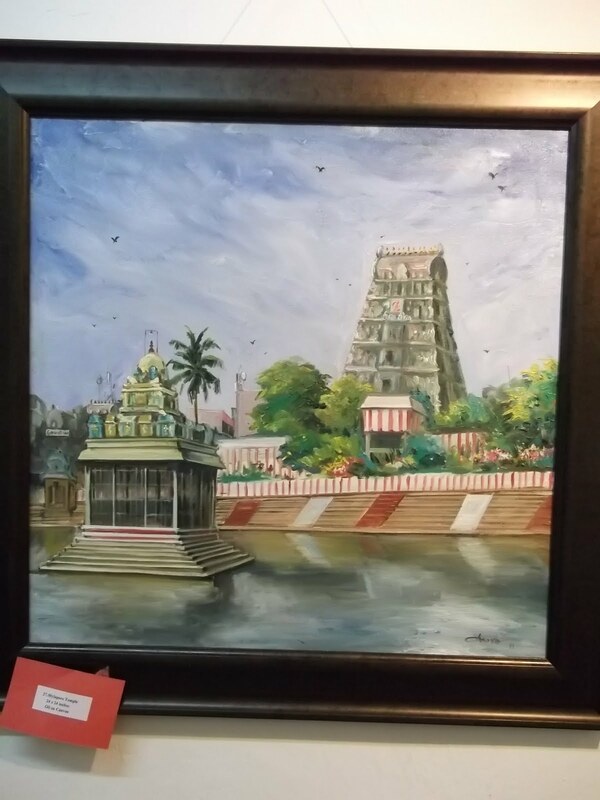 Kumar graduated this year from the Government College of Fine Arts, Chennai and is the first degree holder in Fine Arts from his village Koralpakkam in Thiruvannamalai District. 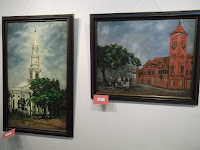 When I visited the g Vennirul Art Gallery there was no visitor. The lights were off and somebody came to switch them on as I entered. The sad part in some of these exhibitions is that there are hardly enough people interested in coming to see what’s on offer. Whether it’s the C.P. Ramaswami Aiyar Foundation or the Gallery Sri Parvati or other galleries, it all looks good for the record, to have exhibits during Madras Week, but in reality, except for the inaugural if there is one, you will hardly find people coming in. Lakshmi Venkataraman, who runs Gallery Sri Parvati, has echoed my view many times. She should know. Her gallery, done up fairly well, in the centre of the city, in Alwarpet, does not attract many visitors during Madras Week. So, I had the whole Vennirul Art Gallery to myself and spent some time looking at the exhibits before an officer from the Foundation trooped in, probably signaling that my time was up. 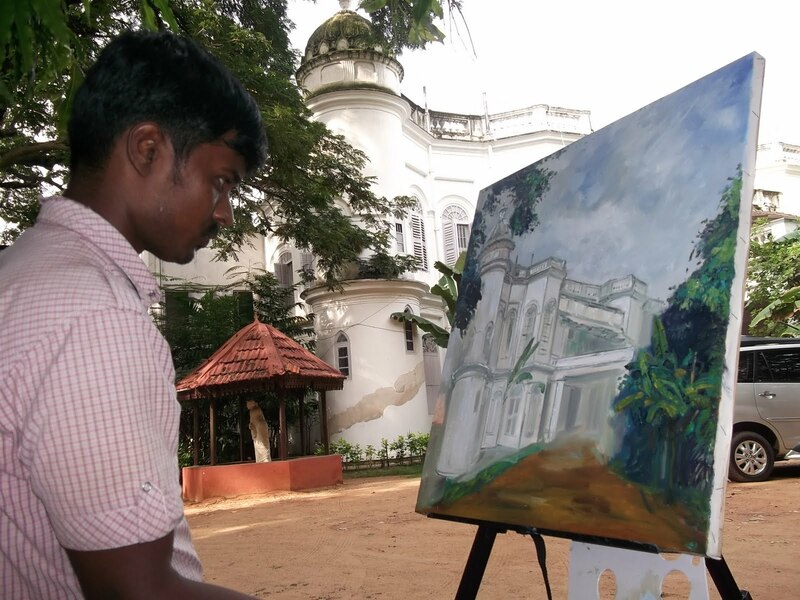 Outside I was pleasantly surprised to see Ananda Kumar immersed in what he does best – paint. 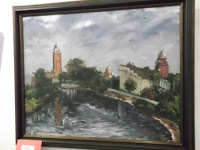 As he wielded his brush, his eyes were focused on an old building on the campus, probably one that might have been the residence of Sir C.P. Ramaswami Aiyar. Pictures show some of Kumar’s work – the flow of the Cooum against a backdrop of heritage buildings, of St Andrew’s Church and Victoria Public Hall, and of the Mylapore Temple tank. 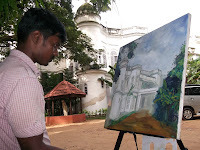 I managed a picture of Kumar even as he was providing final touches to his painting of the building that formed the background.